Natchitoches Police Department responded to a reported accident Monday, Dec. 3 at 11:53 a.m. in which a pedestrian had been struck on Washington Street near Flora Street. Primary responding officers immediately located the injured pedestrian who had been struck by a GMC Yukon being driven by James Miller, 66, of Natchitoches. 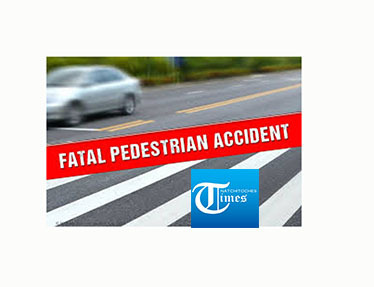 The pedestrian, Joseph Lacey, approximately 68 years of age, was transported to the Natchitoches Regional Medical Center, where he later succumbed to his injuries. No additional information shall be released at this time. If anyone has additional information about this accident, contact the Natchitoches Police Department at (318) 352-8101. All calls shall be kept confidential.